"Be An Airbus Supplier Executive" course in Dublin. Mann Engineering recently took part in “Be An Airbus Supplier Executive” course in the EI offices in Eastpoint Dublin. This was a one day seminar which provided an overview of the main requirements and processes for the Aerospace Supply Chain (Tier one, sub tiers, potential entrants, new and existing suppliers from all management levels). The seminar was to help fully understand the specific requirements and regulations of the aeronautical industry, allowing companies to comply to the best of their ability. 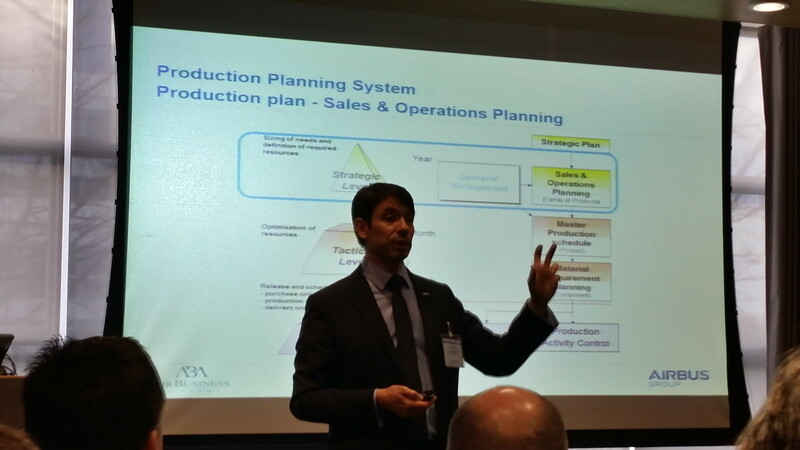 The trainer on the day was Romain Sohier, who is head of the Operational Management Faculty for AirBusiness Academy. An expert in GRAMS/GRESS & IPCA, he leads an internal team and a network of external consultants specialising in procurement, supply chain, project management, risk management and quality management. AirBusiness Academy, which is part of the Airbus Group, is an aviation and aerospace learning centre for Airbus and its community of customers, suppliers and partners worldwide. Airbus Group procure over €42bn per annum from its network of suppliers worldwide.